Work for Samsung Galaxy S/Note/Tab series, and LG G2/G3/G4, etc.. Completely compatible with all Samsung Galaxy/Note/Tab tablets and phones, LG G2,G3 G4 etc..
No matter you forgot the password on your Android lock screen or just get a second-hand device and don't know the lock screen's passcode, this Android Lock Screen Removal enables you to get rid of the unknown passcode in 5 minutes, including pattern, PIN, password and fingerprint. Whatever the passcode you choose, you won't lose any data on your device by removing it with this Android Lock Screen Removal. This Android Lock Screen Removal can remove passcodes of pattern, PIN, password and fingerprint. All of you can handle it. It asks no tech knowledge. No matter what your password is, you will not lose any data on your Android device. Currently, it works for most Samsung and LG devices. Other brands are coming soon. 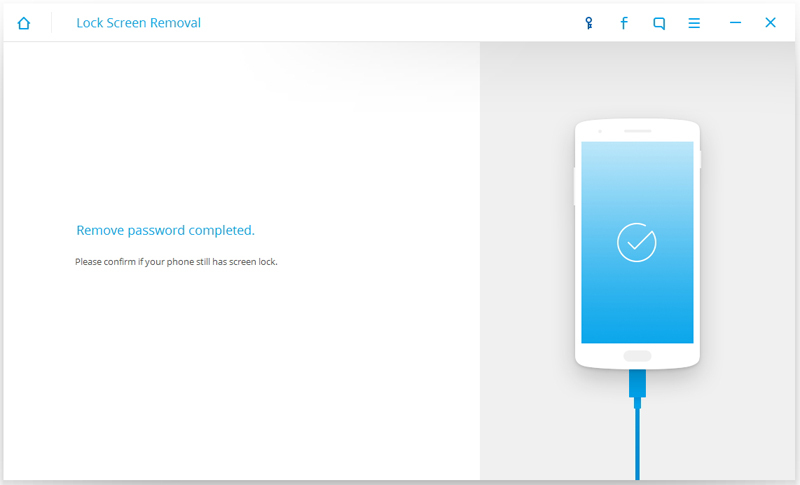 Fully Erase Everything on Android and Protect Your Privacy. "I've forgotten my Android phone's lock. 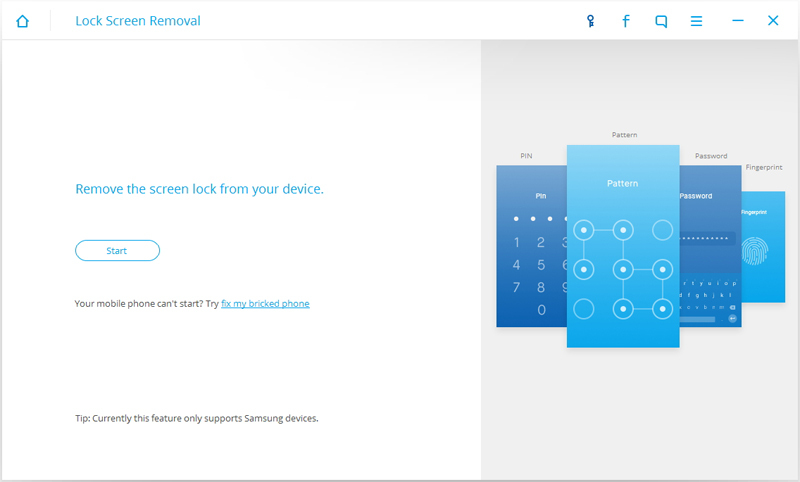 Is there a way to remove the lock and don't lose my data? " Have you encountered the same situation? Don't worry. 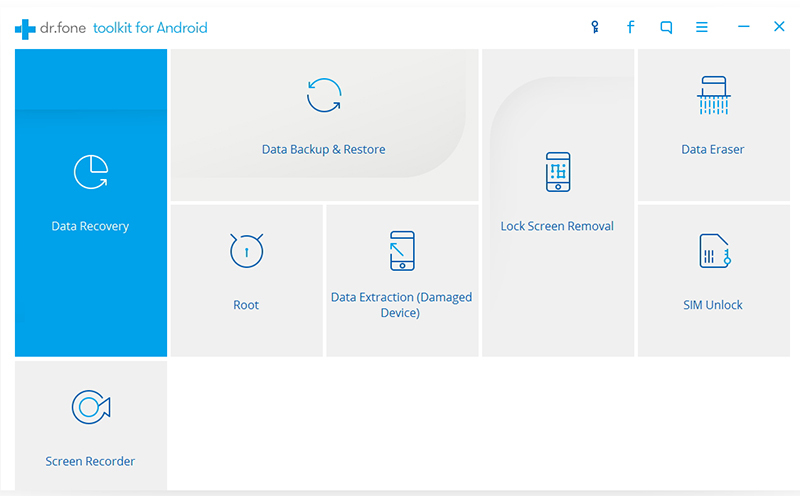 You can try Wondershare dr.fone toolkit for Android to unlock the screen lock without losing your data on Android devices. It supports to remove Android phone password, PIN, pattern and fingerprint. Launch dr.fone toolkit for Android on your computer and select Lock Screen Removal among all the toolkits. Connect your Android phone to the computer using a USB cable. Then click on Start on the program. 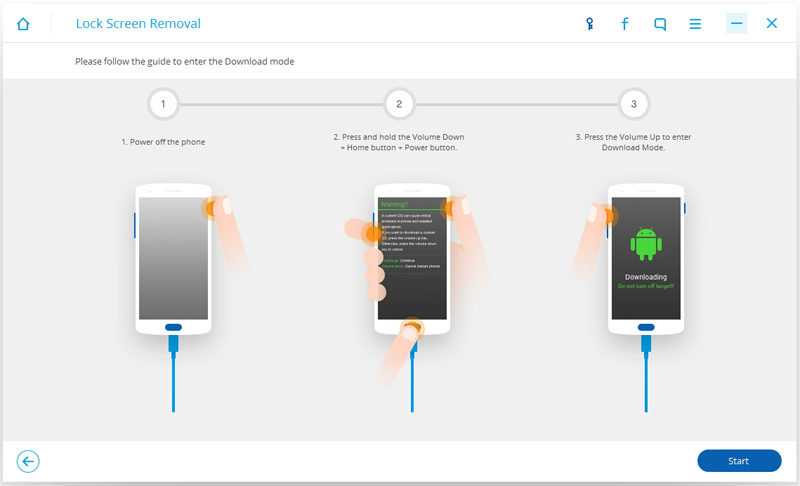 Follow the instructions on the program to get the Android phone into Download Mode. Press and hold Volume Down + Home button + pPower button at the same time. After you get your device into the download mode, it will begin downloading recovery package. Just wait until it's completed. 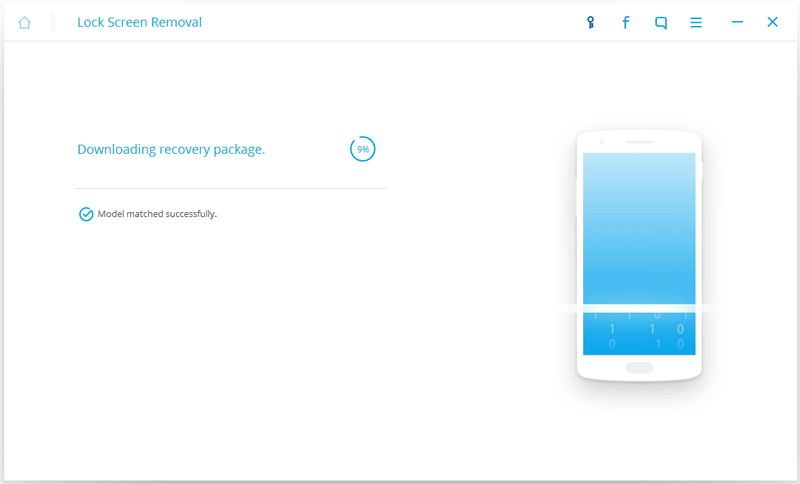 When the recovery package downloading is completed, dr.fone toolkit for Android will start to remove the screen lock. This process won't hurt any data on your Android device. Once the whole progress is over, you can access your Android device without entering any password and view all your data on the device with no limits.